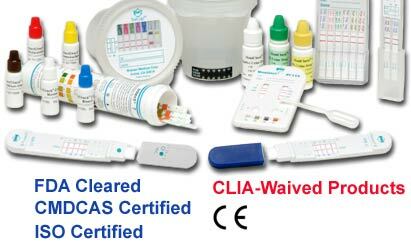 NEW OratectPlusTM Oral Fluid Drug & Alcohol Screen Device....AVAILABLE NOW! Click here for more information. Alcooltest Marketing Italia distributes the products in Italy and Europe of Branan Medical Corporation that is an ISO 13485 certified and FDA licensed California based company that develops, manufactures and markets unique products for drugs-of-abuse testing. 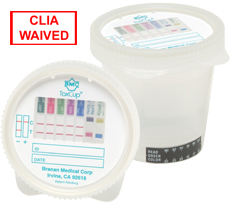 The company offers a complete line of rapid, on-site drug and adulteration tests in urine and oral fluids as well as quality control products. All its products have received CE marks. Developed with lateral flow immunoassay technology, Branan Medical's products are accurate, precise and sensitive. Our broad range of products serves many sectors: corporate workplace, criminal justice, clinical laboratory, treatment center and educational systems. Alcooltest Marketing Italia and Branan Medical Corporation are dedicated to providing innovative products, excellent quality and friendly customer service.